CSUN alum Jim Snyder goes from valley boy to mountain man. Photo provided by Jim Snyder. 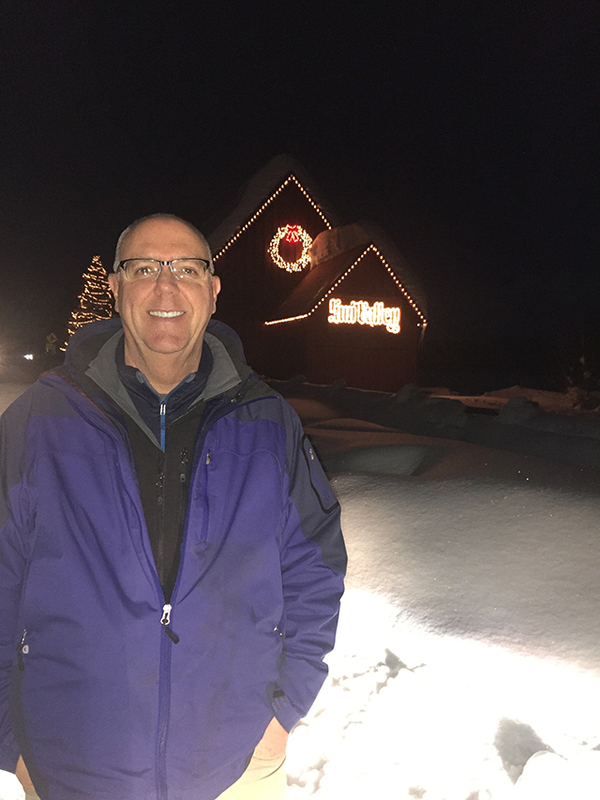 CSUN alum Jim Snyder stands in front of snow-covered Sun Valley Ski Resort in Sun Valley, Idaho. Photo provided by Jim Snyder. 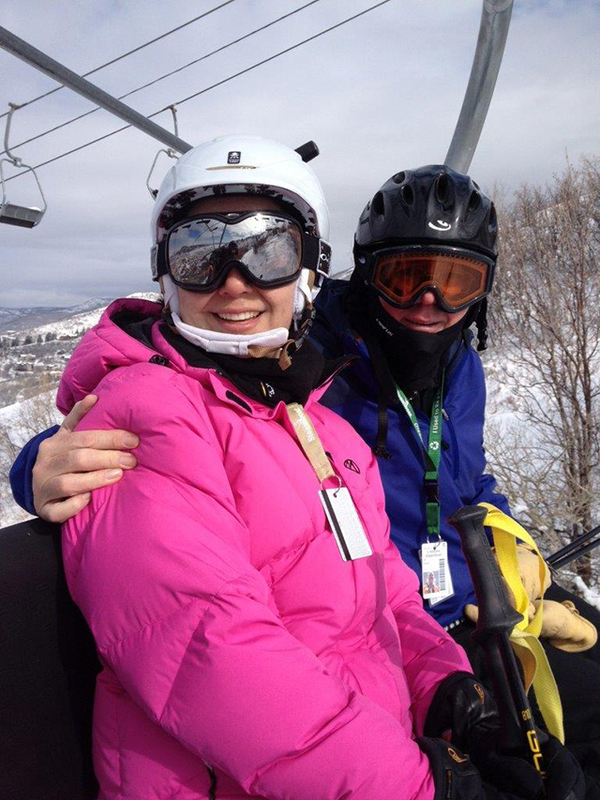 CSUN alumni Jim Snyder '84 and wife Nicole Snyder '93 ride the ski lift at Sun Valley Ski Resort in Sun Valley, Idaho. Photo provided by Jim Snyder. 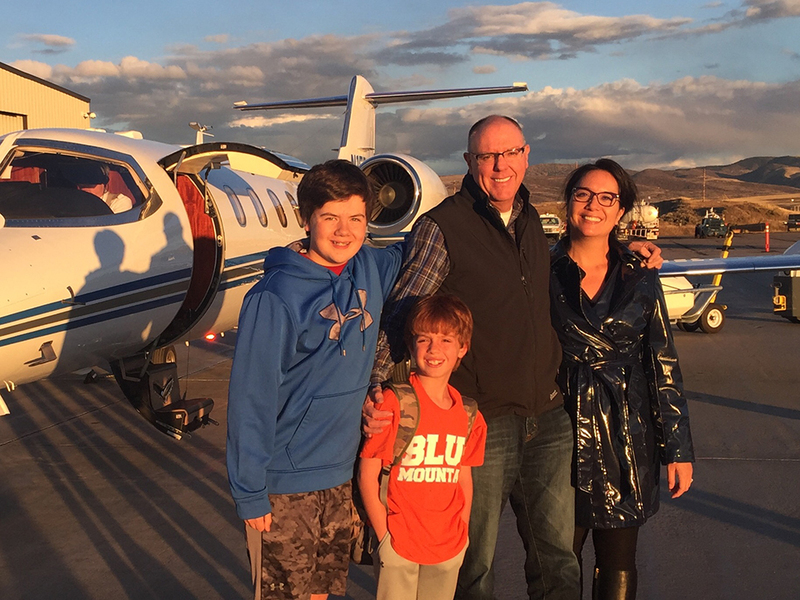 CSUN alumni Jim Snyder '84 and Nicole Snyder '93 with children Andrew (14) and Bradley (8). Photo provided by Jim Snyder. California State University, Northridge alumnus Jim Snyder ’84 (Political Science) graduated from CSUN, then found the culinary world captured his interest and his heart. As a Northridge native, Snyder was born and raised in the San Fernando Valley city and eventually went on to attend college at CSUN. Since the year 2000, Snyder has been an executive in the ski industry. 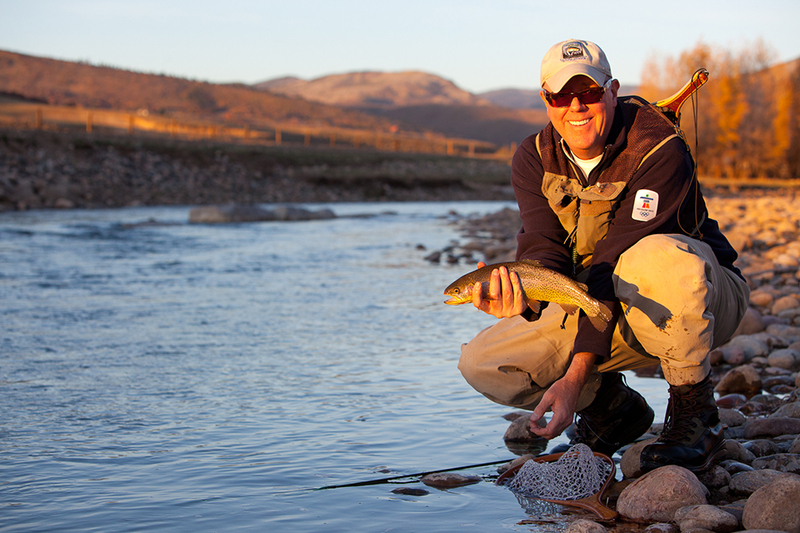 With nearly 17 years of experience under his belt, he recently joined Sun Valley Resort in Sun Valley, Idaho, as the director of food and beverage. Snyder was recruited to work for the privately owned resort, where more than 400 employees report to him — including about 50 managers and chefs. “It’s interesting for someone [like me] who grew up in Southern California and who barely saw any snow [to live in a place like Sun Valley],” said Snyder. During his time at CSUN, Snyder played intramural basketball and participated in Model United Nations (MUN), and he attributed his public speaking skills to his time participating in MUN. Now, Snyder speaks publicly on a weekly basis, in front of crowds that range from 30 to 100 people — at seminars, training sessions and general meetings. Snyder is still connected with the CSUN campus, as he married a Matador as well (Nicole Snyder, ’93). The couple and their children visit the ever-changing campus on occasional trips to California, as both of their families still live in the Valley — and they follow Matador sports online. Snyder’s mother, Patricia Anne Snyder, also attended CSUN, earning her bachelor’s degree in liberal arts from the university in 1985. She also worked at the CSUN Learning Resource Center for several years, while her son attended the university. Snyder said he believes that CSUN was the driving force in binding his family together. Though Snyder grew up in relatively sleepy Northridge, he was not timid about traveling to other parts of the country. “This Valley boy ended up loving the ski areas and the mountains,” he said. Snyder said he wants to remind all of CSUN’s future and recent graduates that nothing is unattainable. “You have to follow your dreams. If you’re climbing the ladder of success, make sure your ladder is up against the right wall,” he said. “People [need to] follow their actual dreams.